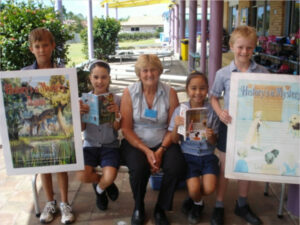 AUTHOR’S VISIT – Last week the Year 4 students also enjoyed a visit from author Dell Brand. Dell’s written two children’s books ‘History’s a Mystery’ and ‘History’s a Mystery Again’ both of which have a history focus. 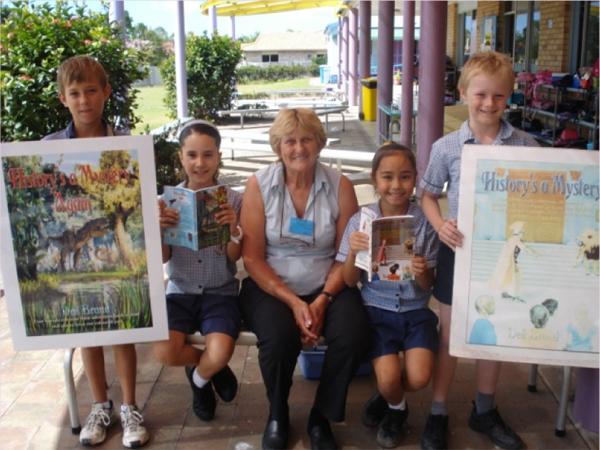 The students thoroughly enjoyed her visit and being taken back in time. Pictured with Dell are Kye, Lucia, Caitlyn and Shaun.